It’s been a week since I completed the Yukon River Quest, yet I still feel I’m digesting the experience. There are so many stories to tell, and to do them justice I need a little more time to collect my thoughts. The race was never going to be easy, and I expected that probably more so than most. But when my foot pedal snapped 65km in and I was left without steering for the first half of the race, a whole new challenge was presented to me. It was one of the most disappointing yet brilliant experiences of my life, and in the end I wouldn’t change a thing. 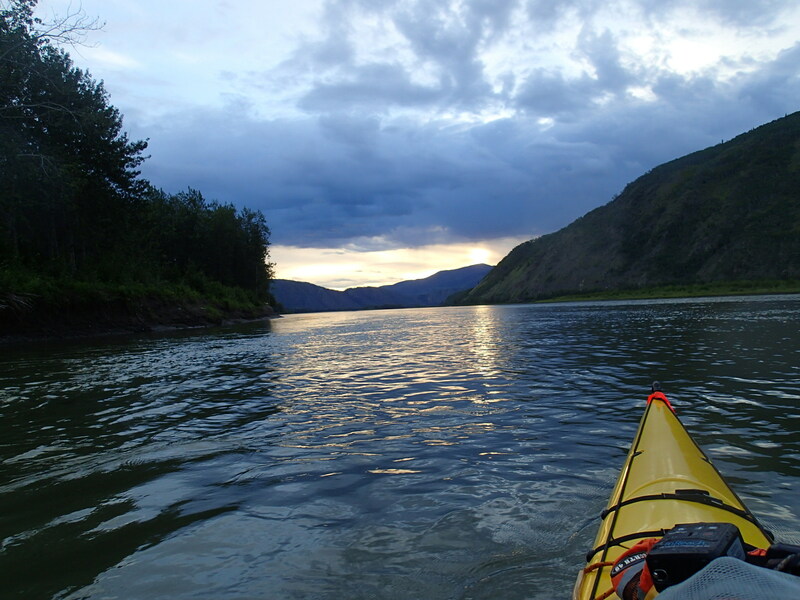 During my three days on the river I experienced almost every emotion possible. There were certainly some darker moments, but like the colour of the sky, that light at the end of the tunnel never fully disappeared. I look forward to sharing more of the experience soon. Embrace the blank page….till you are ready to tell your tale. Congrats! Looking forward to reading all about it. We are all proud of you!! There are always some dark moments when taking on the unknown. No matter how well prepared you can be. Cant wait to hear more about it!